We have heard some interesting stories about the Forge Theatre but this is the first year we have included it as a stop. 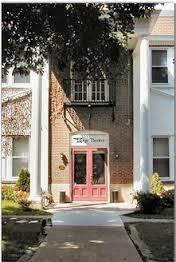 Prior to being a theatre it was the Neiman Funeral Home. Actors have told us about a male ghost which has been seen hovering above the costume loft stairs and they refer to him as “Mr.Neiman”. We hadn’t included the Forge Theatre until we learned from a tour goer and Forge actress (Jan S.) the origin of the historical costumes used now for productions. (Lets just say they were used and reused for viewings…but no zippers or buttons were needed…) This may help explain the strange events still happening at the Forge Theatre. 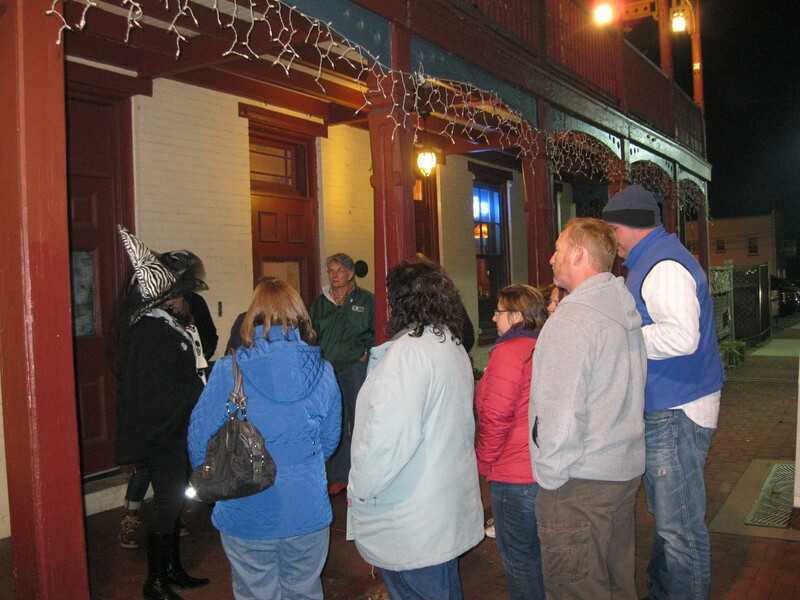 Experience the history and mystery of the most haunted Borough in Pennsylvania in this 90 minute walking tour. Friday and Saturday nights in September and October. It was a dark and stormy night – really it was! One very determined group decided to venture out despite the threat of more rain. We altered our normal schedule and began our walk up to the most haunted location in Phoenixville – the Library. But along the way we stopped at one home where a ghost cat had been sited the year before. (For more information on ghost cats be sure to take our tour on the Outer Banks!) We encouraged the group to take pictures because we have had numerous orbs sitings here. Within seconds a large cat appeared along the roof line, followed by a strange cloud like figure. The group rapidly took pictures with their digital cameras. When we looked at the photos on our next stop, the strange figure was there, but no cat appeared in any of the photographs. Can’t wait that long? Private tours are available anytime during the year for groups of 12 or more. During off season, please call 252-573-1450 for reservations.